Until last year, the word gopher simply referred to a puffy-cheeked, fur ball of an animal. Now it's a tool many hoteliers will have on their radar. Launched in November by the team behind The Guestbook — the rewards programme for independent and boutique brand hotels — Gopher, an internet browser extension, powers up while customers are searching for rooms via OTAs. It pledges to "dig up a better deal" than the OTA finds and when it does, it redirects the customer to the hotel website to complete the reservation. We spoke to The Guestbook founder and veteran hotelier James Gancos about the product, what's in it for hotels and the current mood in the hospitality industry. How did Gopher come about? The idea has been around a long time, since we founded The Guestbook back in 2014, but we never really had the execution model. Last year we had a new idea about how to package it up using a browser extension. It’s a simple concept; it takes advantage of the fact that hotels rates may be better than OTA rates to start with. The overall goal is to increase the amount of traffic to hotel websites and give hotels new eyeballs on their sites. How does it interact with The Guestbook? It has the same back end. If you are a Guestbook member you have access to rewards on either platform. Gopher doesn’t require that you are a Guestbook member but that happens to be an added benefit. The two are completely separate brands. Gopher will work with any hotel in the world that has its own booking site. Guestbook is only for independents or boutique hotel brands. How do hotels integrate with Gopher? Chain hotels don’t need to do anything as we are actively prioritizing and adding chains to the direct connectivity platform. Independents can get a direct connection to Gopher by signing up with us. Right now, that means enrolling with The Guestbook. We are also working on a possible Gopher-only option as well but are concerned that it won’t be as effective as having Guestbook + Gopher. What is the principal benefit for hotels? We deliver direct booking reservations. We give the conversation and relationship back to the hotel. What is Gopher’s business model? Gopher makes revenue by charging a commission or affiliate fee per reservation. We have that set up for our directly-connected hotels. Otherwise hotels require us to reach out and, hopefully, set up an agreement to recoup the rewards, plus our mark-up fee going forward. Guests receive an emailed notice of their pending cash rewards value immediately after making a reservation and can keep track in their Gopher account. The cash back becomes available between seven and 30 days after their stay completes, although there are some cases when it is faster or slower. How can you be sure customers always getting a better deal direct through Gopher? Because we are a cashback platform, we can give any amount of cash back to the booker as is needed. In other words, we give any amount required to make sure the hotel has a better overall deal. So many hotels have parity problems, even the best hotels can’t handle disparity 100% of the time. There are a lot of dynamics at work. We try to bridge the gap and step in to make sure they get the best deal. What commissions do you charge and how do they stack up versus OTA fees? We always believe 10% is the fair price of bringing business to the hotel because that was the traditional travel agent commission. We always provide a full service for less than 10%. Depending on how much the hotel works with us — for instance, if they are a Guestbook client or not — there is different pricing below 10%. There are two great customer value propositions — you can save time and save money. Most people are browsing around. You think there’s a billboard effect, but you end up Googling the hotel website to see what rate it has, that’s an extra step, not a value add. Then there are different currencies and cancellation policies so comparison is difficult. 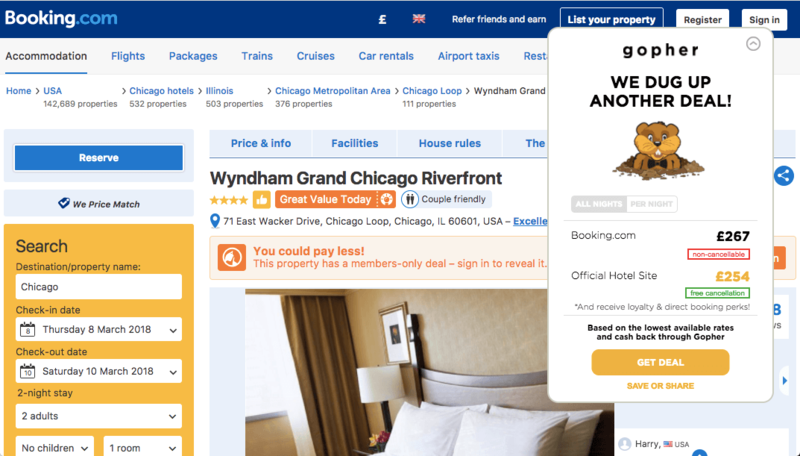 Are hotels that use Gopher at risk of a backlash from OTAs? Hotels do wonder about this. We have crafted this in a way that they are at no risk. There’s really no way OTAs can tell a hotel is using Gopher because it’s not something that lives on their site. One reason we developed it this past year and not in 2014 is because hotels are now ready to take a risk on their own prices. Why do you think hotels are more prepared to take risks? Because the big chains went out in unison to push for more direct bookings. Now hotels feel covered to do things they previously thought they would have been obliterated for. How does Gopher interact with hotel loyalty schemes? Do you have to join a scheme to get the Gopher price? Loyalty rates are available by clicking just one button through the booking process. We believe it’s a really important part of the process. Our whole goal is to encourage direct booking and bring personal the connection back into travel. Having customers enroll in your loyalty programme, you see the benefits you get through the hotel. We will never change that, we will always lead with the member-rate as part of the process. How do you see Gopher evolving? I tell investors we're going to listen carefully to feedback and requests. A lot of people have mentioned building an app. We considered all things but started off prioritising the best case. It’s still to be determined whether that was the right decision, it seems to us the numbers stack up. We will do everything eventually. It’s just deciding the sequence. 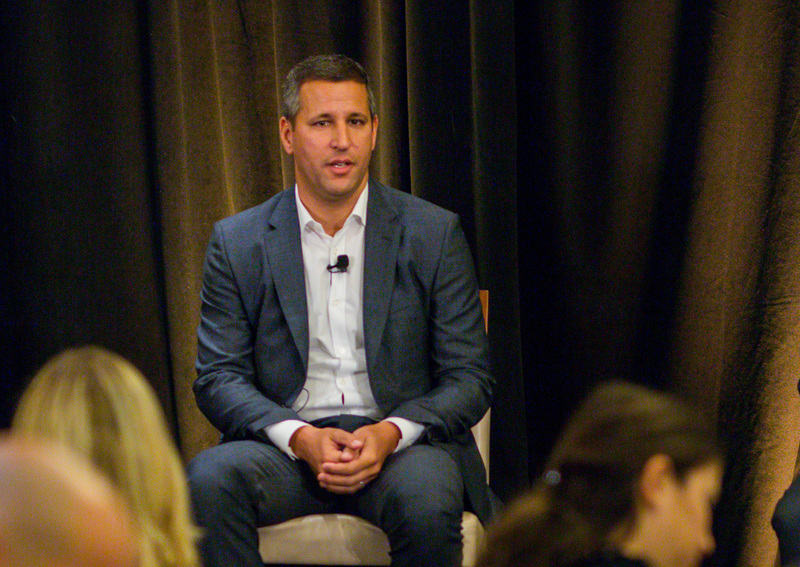 There are a lot of third parties vying for hoteliers attention. What’s in your pitch that sets you apart? Our track record and background speaks for itself. We have helped hotels for four years with direct bookings and that lends a lot of credibility. There is no concern with us, they know we have their interest in mind. It’s a trust level. Often for tech companies in this space the exit strategy is to be bought by an OTA. It’s not our exit strategy, there would be no value to us or an OTA. While it’s early days for Gopher, we’re excited to see another product that is encouraging more customers to book direct and showcasing the fact that hotel website often have better prices than OTAs. We’d love to know what you think about it: will you be connecting to Gopher? Let us know at content@triptease.com.